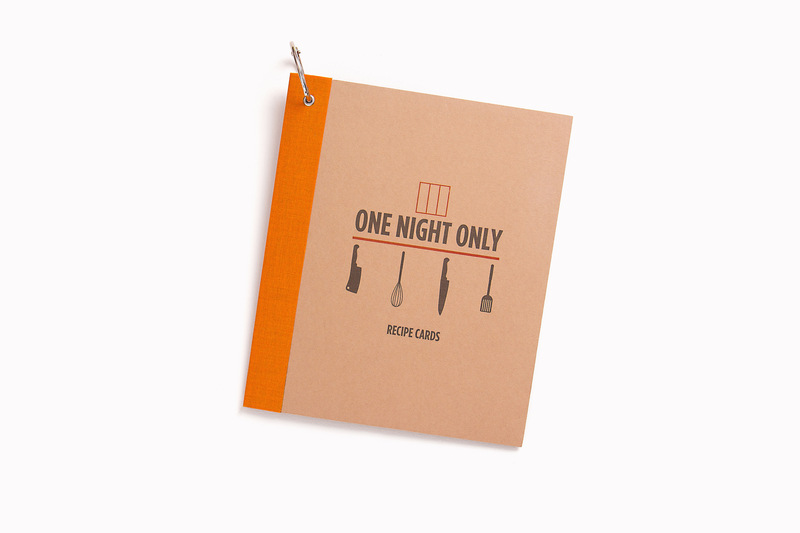 Plus Agency Soho House | Collectible Content - Plus Agency "
To coincide with the launch of High Road House’s series of monthly nights inviting guest chefs and restaurants to stage one-off pop ups, we designed a recipe book with recipes to accompany the events. 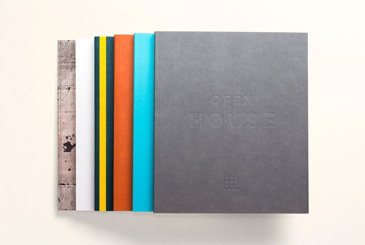 Each event offered House members and guests a unique sample menu prepared by the guest chef or restaurant. 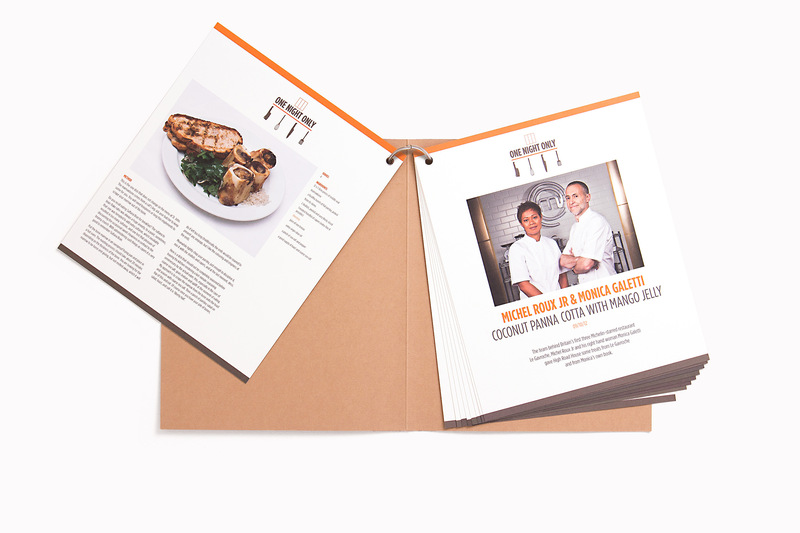 Prior to each event, a key dish from the sample menu including the cooking method, would be designed, printed and inserted into the cover or handed to members who already have the covers. 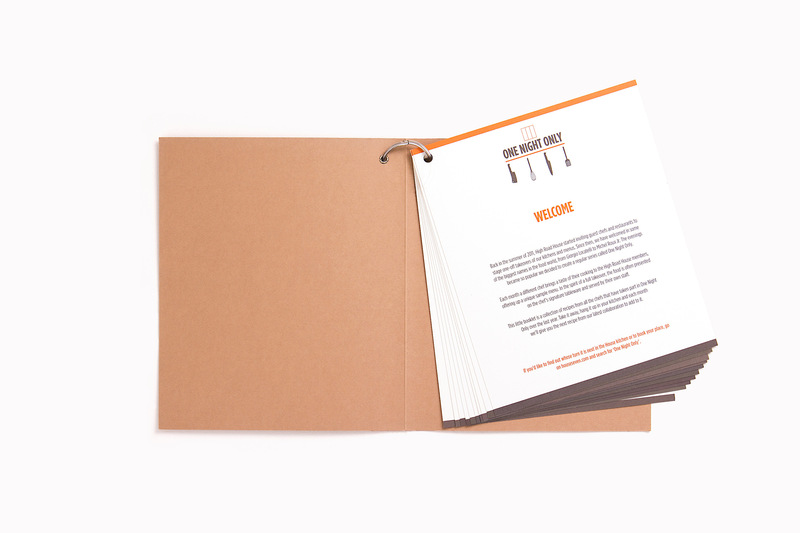 We designed a motif for the events and recipe book and the covers is hole punched, re-enforced and ring fastened to allow the easy addition of new recipe cards each month. 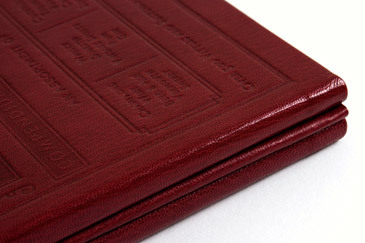 The ring also allows the book to be hung in the kitchen and the spine protector in High Road House orange lends the book a durable quality. World class chef’s gracing the club’s kitchen have included Giorgio Locatelli, Michel Roux Jr.; Monica Galetti and Mark Hix.